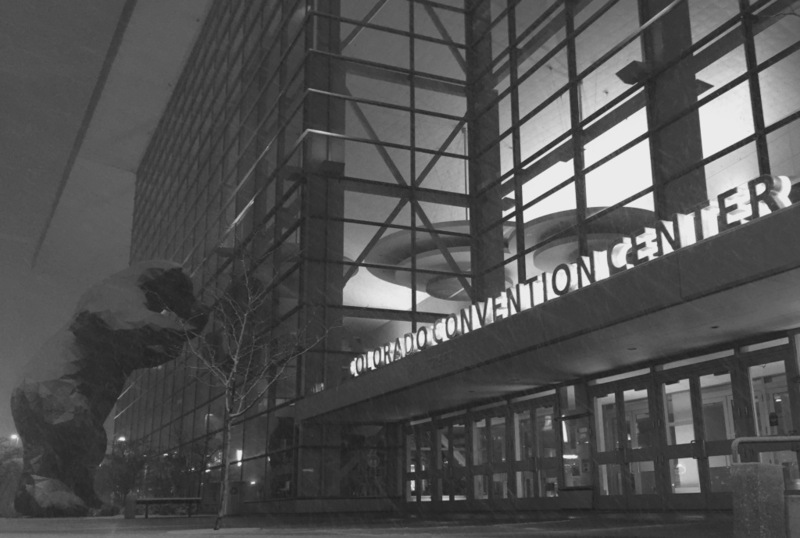 Once a year over 1,000 snow industry brands from around the world convene in Denver and Summit County for the SIA SnowShow. 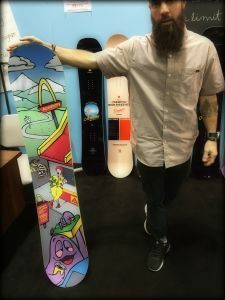 From old school throwbacks such as Moon Boots to new school giants like Burton Snowboards, the SnowShow allows sellers to present their upcoming products and future plans to media and buyers. It is a week of sales, promotions, and parties—as well as the tightening and creation of bonds and, at times, the breaking of others. 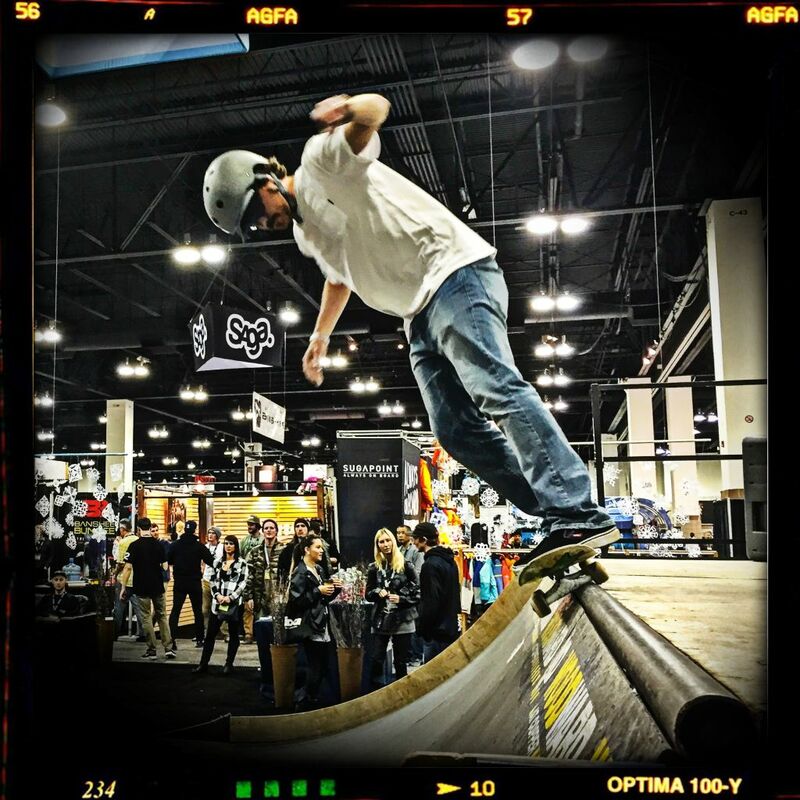 The SIA Snowshow is undoubtedly one of the most important events of the year for shaping the snow sports industry retail market. 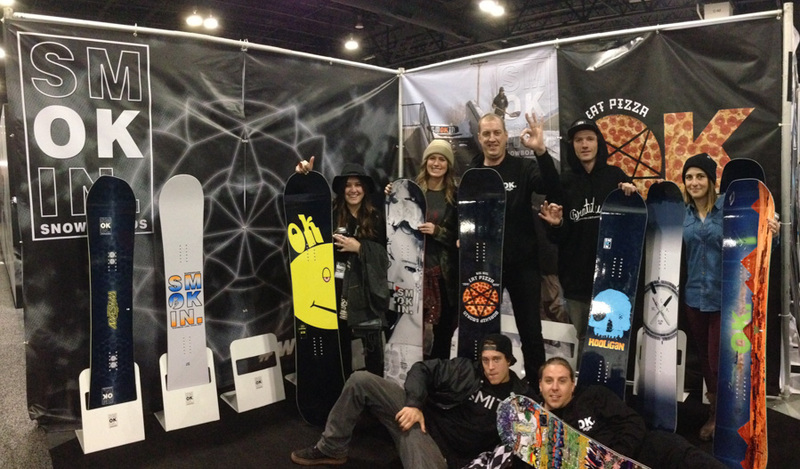 The Tahoe Journal was was able to attend this year’s SIA Denver trade show and catch up with a few local board brands! The following four companies offer quality products that we strongly suggest considering during your next shred shopping spree! Owner Jeff Baughn has been heading operations out of Auburn, CA, just west of Lake Tahoe, since 2003. His passion for the sport and community is evident in the brand he has created. “Good People. 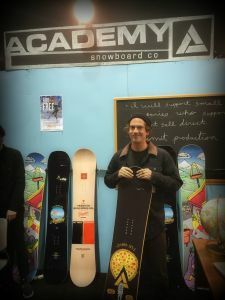 Great Snowboards.” Along with scholarships and snow camps, Academy also puts on local contests to help support aspiring professional riders. For a tried and true classic line-up check out Academy Snowboards. Originated here in the Tahoe basin, Smokinn snowboards now operates less than a mile away from the Reno-Tahoe International Airport. Since 1994, founder Jay Quintin has focused on making a quality product with progressive technologies such as magna traction, hybrid cambers, and most recently an asymmetrical shape. And all of that backed by an unbeatable 3-year warranty! 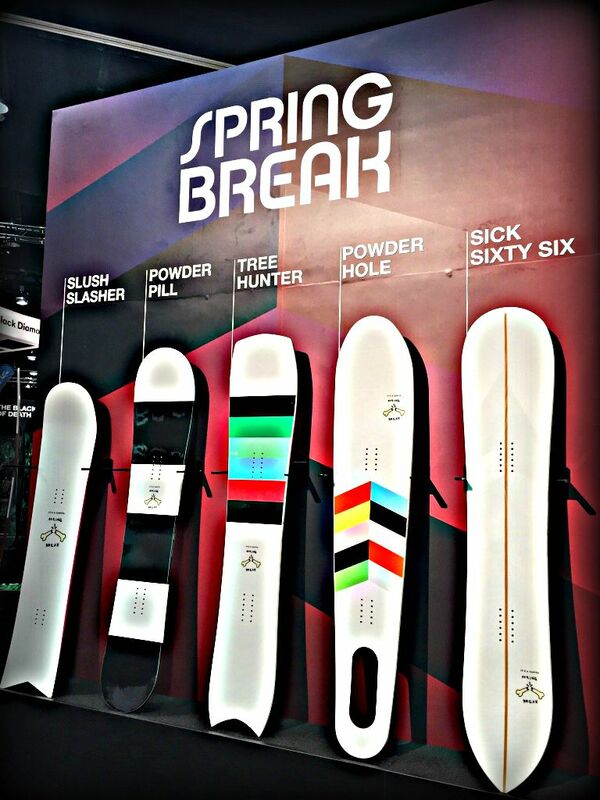 Created by Corey Smith and based in Truckee, Spring Break offers a unique snowboard style influenced by surf designs. One glance at the line-up and it is easy to see what sets them apart from other brands. One run and you will experience the true brilliance and craftsmanship that is put into each board. 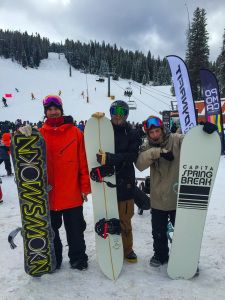 For their 2016 board line, Spring Break has teamed with Capita Snowboards to bring you one of the most unique rides on the mountain. With an unmistakable style, GBP started in Rutland Vermont but has since moved its home base to Lake Tahoe. 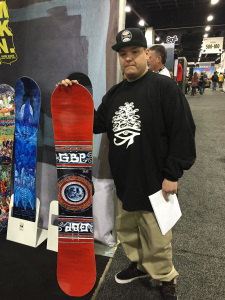 Featuring the hand-painted graphics of team rider Tyler Lynch and manufactured by Smokin’ snowboards, GBP boards offer the distinguishable Gremlinz style to an already solid product. Tahoe Braces for Justin Jay’s Dirtybird Ways.